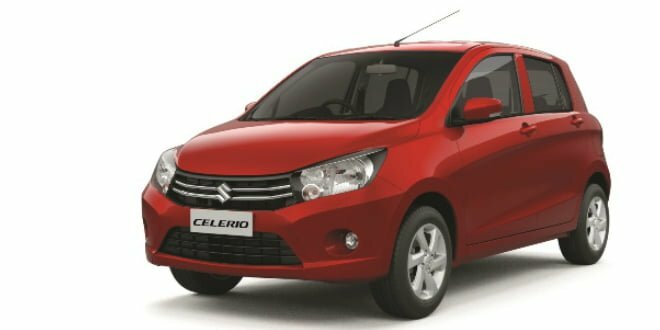 After enjoying three months of sweet success since the launch of the Maruti Suzuki Celerio, the company is now planning to launch the CNG variant of the car in June 2014. The company showcased the Celerio with a 1.0-litre petrol unit at the 2014 new Delhi Auto-Expo and had announced plans to launch a CNG variant in the later months of 2014. The company currently offers CNG kit for the Alto 800, Wagon R and the Ertiga in its lineup. The Maruti Suzuki Celerio CNG will be offered in VXi variant only. Maruti Suzuki Celerio CNG variant has been launched in India. As we had mentioned before, the CNG variant is only available in the VXI manual-transmission trim, is called the Celerio Green. Celerio Green VXI : Rs. 4.69 Lakh, ex-showroom Delhi. That in an increase of about Rs. 63,000 over the petrol MT variant. There are no changes in terms of styling inside-out. You will be able to differentiate the variant by the new badge at the rear and the new filler nozzle under the fuel-filler cap. When the engine is running on CNG, the power figure does go down to 57 BHP, from 67 BHP when running on petrol. This drop in power will not affect the performance of the car a lot as it is pretty light weight. What will be affected is the fuel-efficiency, the CNG mileage for the Celerio Green is 31.79 KMKG. Maruti has meddled with the suspension so that the ride is not compromised much because of the added weight of the CNG tank at the rear. You will lose out on a lot of luggage space at the back though, not that there was abundance of it before. What do you think of the Maruti Suzuki Celerio Green? Let us know in the comments section below. Currently the Celerio VXi manual variant is priced at Rs. 4.06 Lakh (ex-showroom, Delhi), while the Celerio CNG variant could be priced at around Rs. 4.70 Lakh (ex-showroom, Delhi). The Celerio CNG will continue to draw power from a 1.0-litre K-Series engine that produces 67 BHP of power and 90 Nm of torque, mated to a 5-speed manual transmission. While the petrol unit returns a claimed efficiency of 23.1 KMPL, the addition of CNG unit will make the Celerio very friendly on the pocket. A slight lag in the power due to the non-conventional CNG fuel might be experienced, but considering the face that the Celerio is a light hatchback weighing just 830 kg, it should be marginal. We expect the boot space to take a massive hit due to the installation of the CNG-tank though. We did a review and comparison among the Celerio, i10 and Wagon-R earlier in 2014. Buyers after a long thought have given Celerio a well deserved reception. So much so that the hatchback now has a long waiting period and adding a CNG option will only sweeten the deal for prospective buyers. However the Celerio CNG is restricted to the manual variant only and will not come with an AMT(automatic transmission) gearbox. 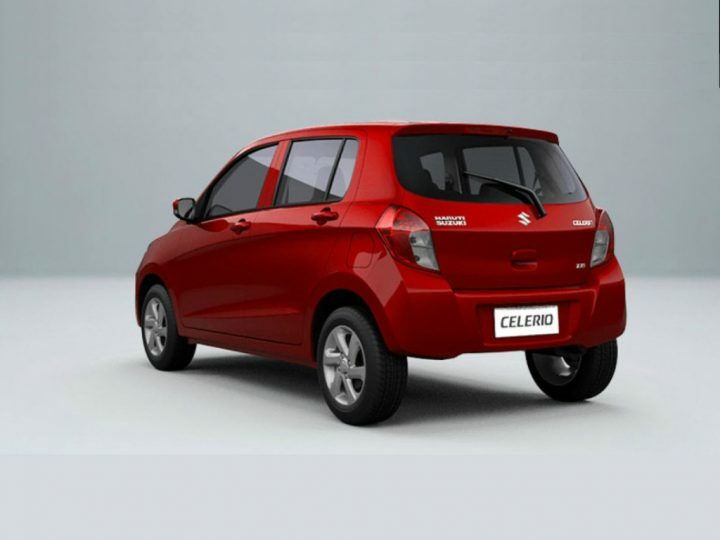 Maruti is also working on a 800-cc turbo diesel variant of the Celerio which will debut in the first quarter of 2015. The first LCV ever from Maruti Suzuki codenamed the Y9T will be the proving ground for this new engine and will go on to power Celerio later. If the Celerio with an 800 cc indeed materializes, the hatchback will be the car with the smallest capacity diesel engine in India, a crown that currently belongs to the Chevrolet Beat, which is sold with a 936-cc, 3-cylinder turbo diesel engine. Since the AMT tech was the one of main reasons for the phenomenal success of the Celerio, Maruti Suzuki will equip the diesel Celerio with the AMT technology too. This diesel variant will take the Tata Bolt head-on in the market. Do let us know what you think of the upcoming Maruti Suzuki Celerio CNG and Diesel variants.